I often wonder whether or not my kids will make the choice to go to college. Believe it or not, it’s a topic that comes up quite often between my six and seven year old daughters. Only time will tell what the future holds. For now I save each and every month in accounts earmarked for their futures. However, my savings are fairly small at $50 per month per child. While I may up their savings at some point, I also know that there are plenty of ways to reduce the costs of their future educational needs. 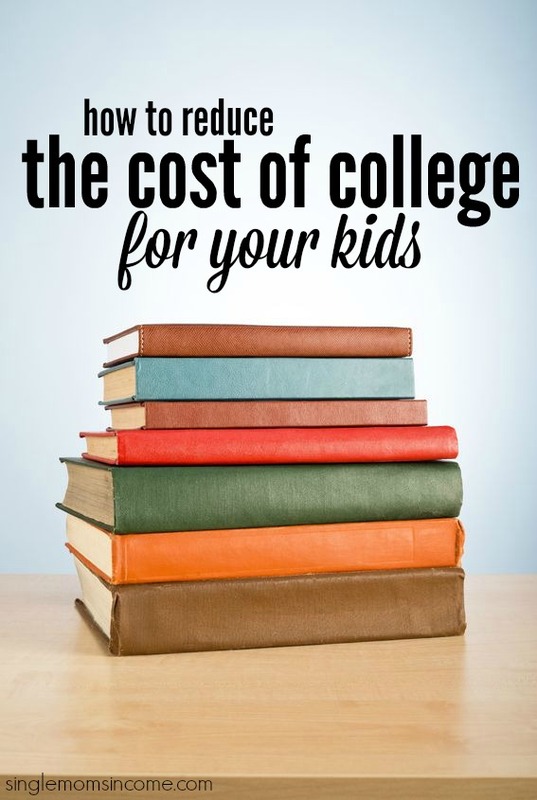 Like anything else in life there are tons of ways to save on educational costs. You don’t have to go bankrupt sending your kids to school. Taking Post-Secondary Classes in High School – When I was in high school I had the option to take some classes at the community college. This option allowed eligible high school juniors and seniors to earn college and high school credits at the same time. 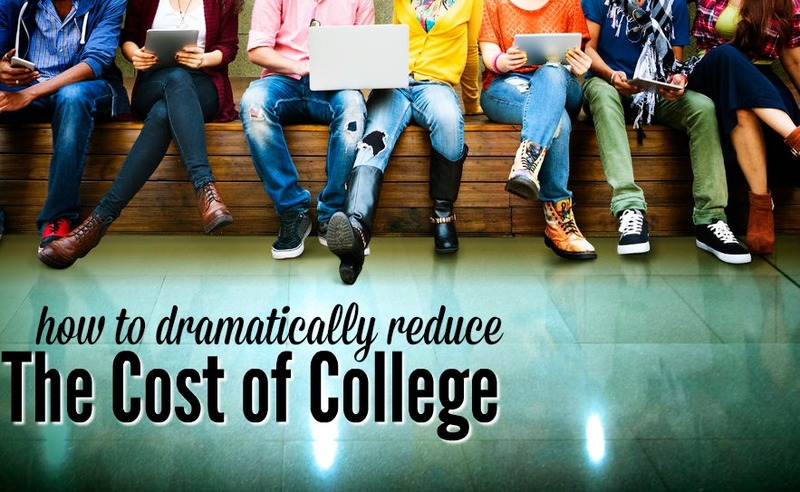 Getting this head start at a community college can save money and time. I would be very happy if my girls chose this option, if it is still available to them. Educating Kids on Student Loans – I am not anti-student loan whatsoever. In fact, I believe that as a parent if you don’t have your financial house in order you shouldn’t worry about paying for your child’s education. Your children can get student loans that they can pay back but you cannot get a loan for retirement. Instead, I plan on educating my kids about student loans and how they should be used responsibly. Discover Student Loans offers an important calculator that helps compare different student loan options. Saving on the Small Stuff – When it comes to college the small stuff can add up to thousands of dollars. I was in awe the first time I went to purchase a college textbook. I could not believe the price! After getting my first set of books I learned how to buy used and then resell the book when I was finished with it, making costs a fraction of what new books costs. While I’m certain physical textbooks will be a thing of the past when my kids enter college I’ll still help them find ways to save and take advantage of various student discounts. There are always significant savings to be had if you’re willing to go the extra mile. Offering a Place to Stay – One big expense for college students is room and board. While many universities require their students to stay on campus their first two years my doors will always be open to my children if they need a place to stay. Letting your children live with you (if possible) while attending college can save them thousands of dollars. At the end of the day I view college as a time to buckle down and focus on education versus funding a lifestyle that borders on Keeping Up with the Kardashians. With a little time invested into finding ways to creatively fund college, my savings and a good education on the use of student loans, I’m hoping that my kids won’t walk away from school with enormous piles of debt. In what ways (if any) are you preparing for your kid’s education? This is great and gets right to the point. The truth is a lot of minds get so wrapped up in the lavish lifestyle vs the actual reason of going to college. I think if you focus more on the school itself then college will become a lot less expensive. Thanks for sharing! Another great resource are the “Advanced Placement” exams. They are offered by the same company that runs the SAT tests. Our local high schools offer AP classes. They are more in depth then the avg class. At the end of the year, students can take the AP exam for that course. If they score high enough they can get college credit. If your school does not offer AP classes, you can get the books etc from the company and take the test on your own. A great option for homeschoolers. I value working but it makes more sense for kids to study and take these classes then to work at McDonalds! My son received almost an entire years worth of credit! He attends a public university. This has a dollar value of about $8,000 in tuition. Plus savings on books and room and board. For families that qualify for the free lunch program the price of AP tests and the SAT is greatly reduced. Taking the SAT is about $300 ! I think it is darling that your daughter wants to live with you forever. I always tell my kids that we could all live on the same street! This is topic is fresh in my mind as my oldest graduated college in 2014 and my youngest is a college senior this coming year. One thing I’d add to the list is work study programs where students work at the college for extra money to be applied to their tuition. An off campus job is also helpful. My son also started several small businesses while in college including bicycle repair, selling things on e-bay, and buying and selling camping equipment. He also gathered up all the bicycles left on campus at the end of the school year, once the college released them, and he refurbished them for resale. A student at my daughter’s school started a laundry service and made a killing. I guess my point is that being a creative entrepreneur can save lots of money. Thanks for the tips! I LOVE that your son started several small businesses and very creative! I remember spending living night and day when it came to textbook season to get the cheapest prices. I tried to find PDFs, friend’s used copies, and searching websites to make sure that I was getting the best price. I also agree on taking classes in community college. I had 37 hours of credit coming in from high school so I could have graduated in 3 years if I wanted to. However, I had my tuition paid for using scholarships so I chose to tack on an extra year, I have absolutely no regrets! I have two kids coming up on college in the next few years (ages 14 and 16), so this topic really hits home! They have both been doing very well academically which is good, and I am also encouraging them to pursue careers in the STEM (science, technology, engineering or mathematics) areas because those degrees tend to be in good demand and pay well. Half the battle is paying for college, but the other half is getting a good paying job! That’s for sure! I definitely don’t think a college degree ensures a good job anymore. Especially, since now it’s assumed that everyone should attend college.